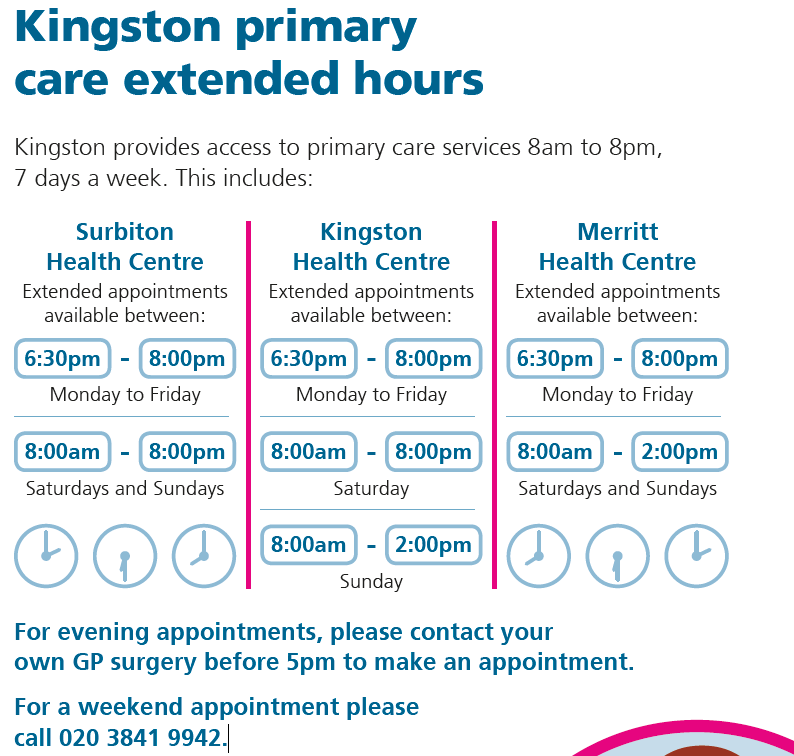 Kingston CCG is increasing primary care access on evenings and weekends to patients in the Kingston borough. Patients in Kingston will now have access to extended primary care services from Surbiton health centre, Kingston Health Centre and Merritt Health Centre. Kingston provides access to primary care services 8 to 8, 7 days a week. For evening appointments, please contact your own GP surgery before 5pm to make an appointment. For a weekend appointment please call 020 3841 9942. Children up to the age of 11 now have access to same day appointments at some practices across the borough. The GP practices will be designating 2 hours a day to reserve for same-day child appointments to provide more timely access when needed urgently.